This is a very unusual Klein Attitude. 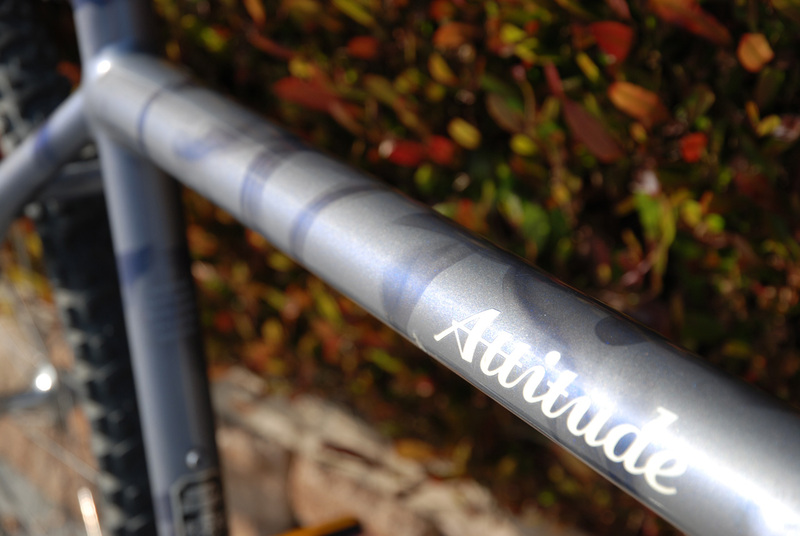 The frame is a 1993 model, built in late 93 and painted in 1994 (using 1994 decals) as a part of a very rare batch of Gossamer custom paint jobs. 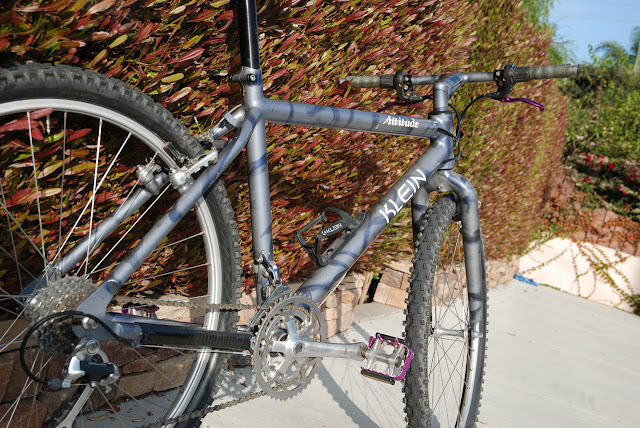 It's rumored that Klein would deliver custom painted bikes for an order of 10 or more. The Gossamer paint scheme along with a couple others (Graffiti, Storck, Pearl Black and Cosmos *I think*) were some other examples. So, logically this bike may be one of the 10 bikes like it in the world. 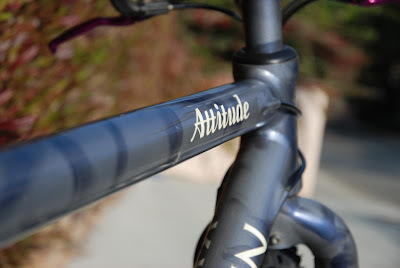 Coincidentally I used to own a brand new XS version of this same bike back in 1999/2000. So, arguably I've owned 2 of the 10 Gossamers in world, not bad. 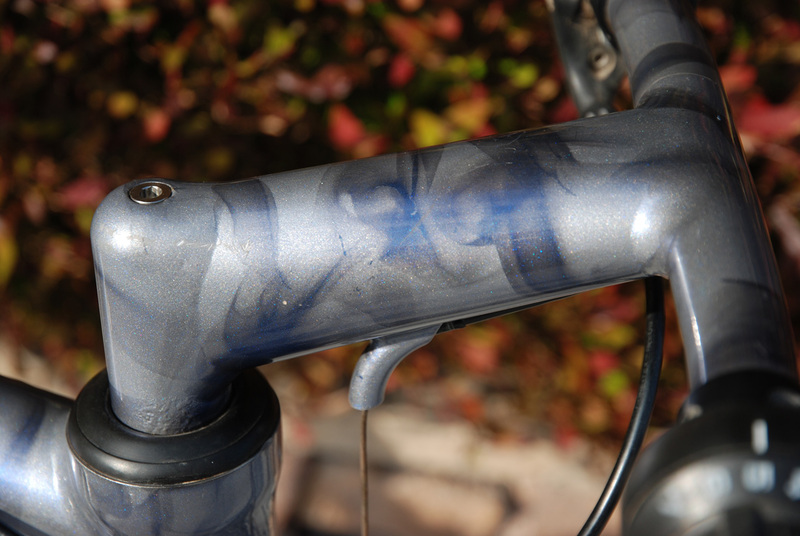 The paint effect was achieved by first painting the bike with a gray base coat, then while the paint was still wet it was swiped with the smoke from an unlit acetylene torch to achieve the wispy bands of gray/black (hence Gossamer). Then the entire thing was covered with a pearlescent blue clear coat to achieve a very unique effect. Needless to say this is a very special bike, especially considering it is a complete fuselage and in a very desirable Medium size (many of the accounted for Gossamers were XS or XL). The build is not very exciting but that can be easily remedied. I plan on building it up with M900 unless some other interesting options come up.